Craig Lindsley, PhD, the William K. Warren Jr. Professor of Medicine at Vanderbilt, is the 2018 recipient of the Sato Memorial International Award of the Pharmaceutical Society of Japan. 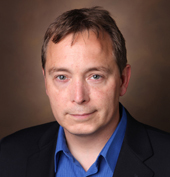 Lindsley, co-director of the Vanderbilt Center for Neuroscience Drug Discovery (VCNDD), is the 41st recipient of the award, which is administered jointly by the society and by the Foundation for Advanced Education in the Sciences at the National Institutes of Health. The award is presented every two years to a U.S. scientist who has made significant contributions to pharmacology, therapeutics and the pharmaceutical sciences. It will be presented to Lindsley next March during the society’s annual meeting in Kanazawa, Japan. Lindsley, who also is professor of Pharmacology, Biochemistry and Chemistry in the medical school and College of Arts and Science, has helped pioneer development of drug-like compounds that, by adjusting the activity of receptors in the brain, may lead to new treatments for a wide range of brain disorders. This is the third major honor Lindsley has received this year. In April he received the 2017 Pharmacia-ASPET Award in Experimental Therapeutics from the American Society for Pharmacology and Experimental Therapeutics (ASPET). In September the University of Kansas announced he would receive the 2018 Edward E. Smissman Lectureship for outstanding contributions to medicinal chemistry and molecular pharmacology.